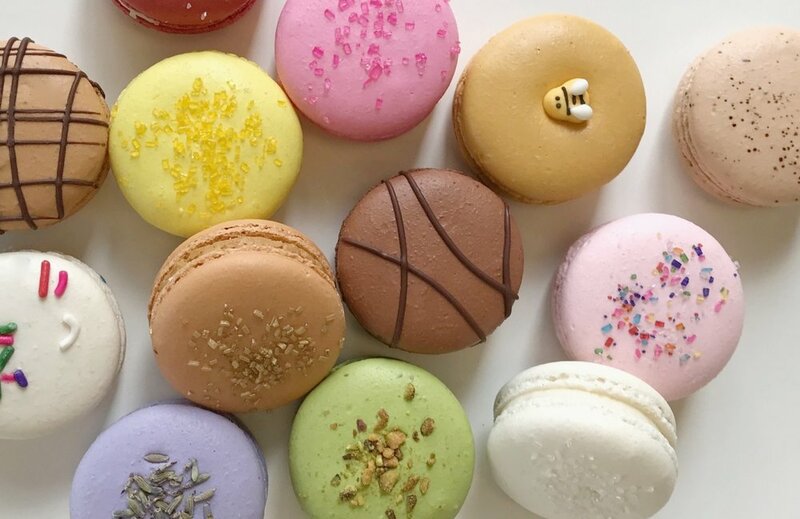 You’ve never tasted anything like a macaron, until you’ve bitten into one. There’s truly nothing like it. With a light crunch on the outside, followed by a soft, melt-in-your-mouth, flavor-filled interior, macarons are unexpected - in the best way. You definitely won’t forget your first macaron. so, how are our macarons different? Second, they actually taste like something. Some macarons have disappearing, subtle flavors that aren’t easily distinguishable. Not ours. We start with a perfect ratio of almond flour, egg whites, and sugar, and then add ample flavor to both the shells and the filling, giving our macarons a bold taste that doesn’t leave you wondering which one you just ate. And, we use real, organic ingredients (hello, actual pistachios!) as much as we can, and aren’t interested in taking shortcuts with our flavors. Lastly, size matters. Our macarons are larger than normal, and we like it that way. Still coming in at under 100 calories each, we make sure you get the best bang for your buck, and let you indulge without the usual dessert guilt. Macarons aren’t nearly as much of a calorie commitment as, say, a cupcake or a bowl of ice cream, which means you can have more than one! Plus, they’re made with almonds, so they’re pretty much healthy, right? Each of Savor’s macarons is a flavor-filled, mini work of art that is unlike any other macaron out there. a light, often brightly colored sandwich cookie consisting of two rounded disks made from a batter of egg whites, sugar, and almond flour surrounding a sweet filling, usually a ganache, buttercream, or jam.